Health insurance is a blanket term for third-party protection against the cost of medical care for prevention, illness, or injury. Pregnancy-related expenses in the United States are usually covered, too, although with varying degrees according to plan and location. Every nation handles the details of health care differently. At this time, healthcare coverage in the US is in a multi-year period of transition as outlined by the Affordable Care Act (ACA or, informally, Obamacare). The US government defined a baseline set of regulations that must apply to all Americans but each state can enhance federally mandated regulations according to local demand. Private health insurance, Medicare, and Medicaid represent the three most basic forms of health insurance available to Americans today. Private Health Insurance — According to statistics from the US Centers for Disease Control and Prevention (CDC), 58% of the American population is covered by private health insurance programs. Most of these plans cover working adults and their families. Insurance premiums are deducted from an employee’s paycheck according to the benefits s/he chooses. 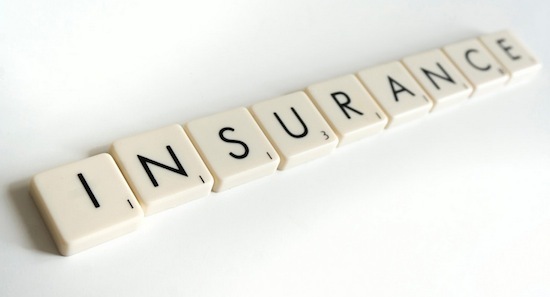 Many American employers do not provide healthcare insurance coverage for their employees. Medicare — Senior citizens, retirees, and younger people with certain disabilities receive medical benefits in the public Medicare program, a federal insurance program. During working years, each American’s paycheck is reduced by a certain percentage to fund the Medicare program, with the expectation each worker will receive the benefits of these payroll deductions after retirement or if a catastrophic illness or injury should cut short one’s natural working life. Medicaid — This public program is a joint effort between state and federal governments. It provides medical coverage to children and their families who meet low-income requirements. SCHIP — This federal / state partnership provides insurance to qualified children and their families when household income is higher than Medicaid limits but no other form of insurance is available to them. TRICARE — Military personnel, their dependents, and many retired military personnel receive health insurance coverage through TRICARE (funded by the US Department of Defense Military Health System). Veterans Health Administration (VHA) — Funded by the US Department of Veterans Affairs (VA), VA benefits provided at VA facilities are available to all veterans who saw active duty in the US military, air, or naval services and were honorably discharged of their duty. Indian Health Service (IHS) — This program administers medical and public health services to Alaska Natives and members of American Indian Tribes recognized by the federal government. It is funded by the US Department of Health and Human Services. Individual states also provide specific programs within their borders. Coverage for infertility, maternity, newborns, and other women’s reproductive services varies widely by state. About the Law: The Affordable Care Act. HHS.gov/HealthCare. US Department of Health & Human Services. n.d. Web. 15 Oct. 2014. Get the Facts Straight on Health Reform. The White House. The White House / USA.gov. n.d. Web. 15 Oct. 2014.